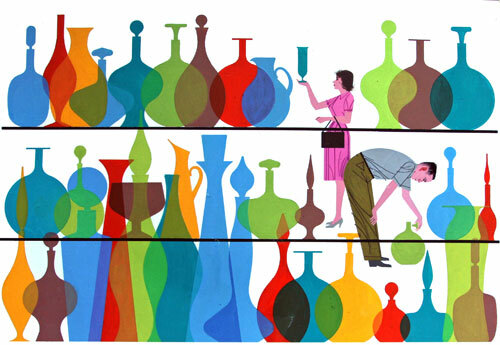 I love this illustration by the great Charley Harper for Blenko. 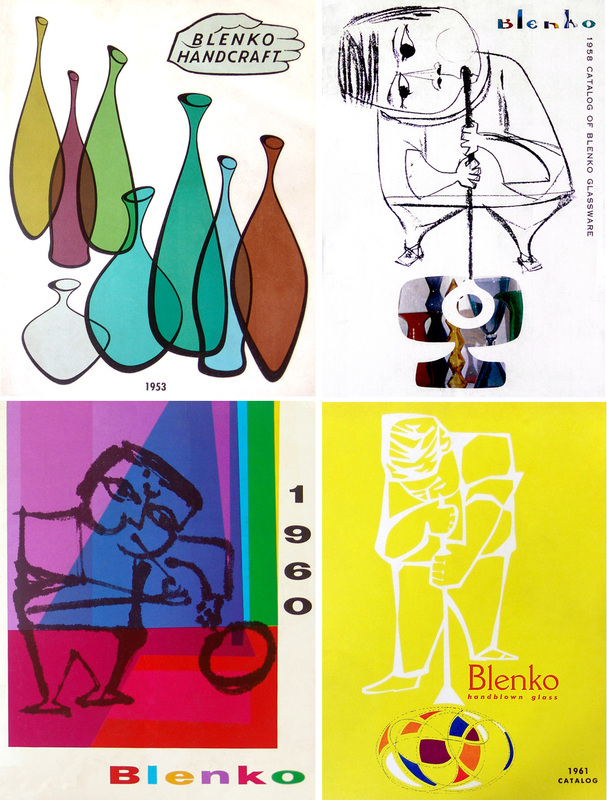 Here are some of my favorite vintage Blenko catalog covers (click for larger pics). The 1953 illustration looks like it was done by Robert Lyons, who was known for his wood veneer art pieces sold by the Franklin Picture Frame Co.. The others, especially the 1958 cover look like they may have been done by Ben Shahn?